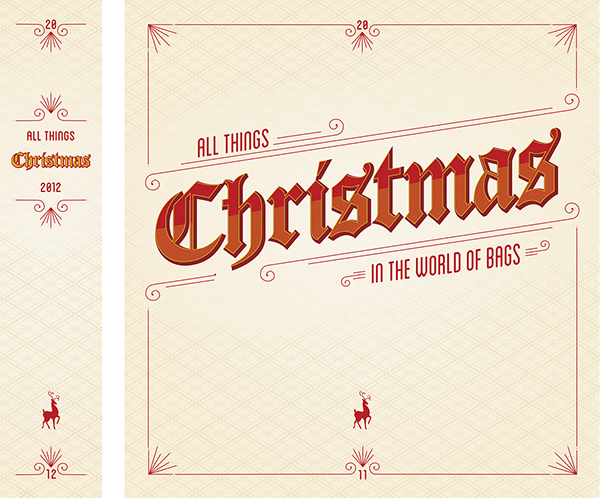 This was designed as a binder cover to house all of the Christmas presentation design work of the Gift Bag Department at The Clever Factory. I wanted to create something fun - inspired by vintage typography and the work of Jessica Hische. As a project leader for the Gift Bag Department at The Clever Factory, it was my responsibility to document presentations in binders. I decided to get a little fancy with this binder cover. Just something fun to house all of our Christmas presentations.